Skype is an Free Video calling tool which also support IM,Chat and Screen sharing on Ubuntu. 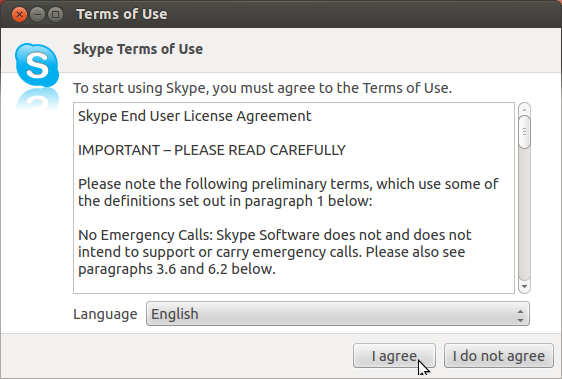 Now Skype 4.2 is available in Canonical Partner Repository. 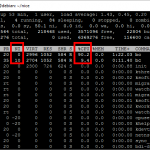 You can install the latest Skype 4.2 in Ubuntu 14.04 / 13.10 / 13.04 / 12.04 / 12.10, by just adding this PPA to your system repository. To Add this Canonical Partner Repository to your system repository, Copy and paste following commands in your terminal. Open your terminal (ctrl+alt+t) and use the below command to add the PPA. Issue the password for the user when prompted. sudo sh -c "echo 'deb http://archive.canonical.com/ubuntu/ trusty partner' >> /etc/apt/sources.list.d/canonical_partner.list"
sudo sh -c "echo 'deb http://archive.canonical.com/ubuntu/ saucy partner' >> /etc/apt/sources.list.d/canonical_partner.list"
sudo sh -c "echo 'deb http://archive.canonical.com/ubuntu/ raring partner' >> /etc/apt/sources.list.d/canonical_partner.list"
sudo sh -c "echo 'deb http://archive.canonical.com/ubuntu/ quantal partner' >> /etc/apt/sources.list.d/canonical_partner.list"
After adding the above command, update your system repository by using the below command in the terminal. 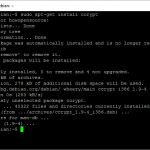 Once the update is finished, Use the following command to install the latest Skype 4.2 in Ubuntu 14.04 / 13.10 / 13.04 / 12.04 / 12.10. Type “y” when you promted, That’s it. Now Skype is installed and ready to launch on your system. Click Dash Home on the Unity and type “s”, you will get a list of application. From the list select skype. Check the screenshot below. now you can add your account to it and use it. Thanks. It worked on Ubuntu 14.04. You’ll be prompted to reload. Do so.